The Brigade School @ JP Nagar is located in the Brigade Millennium Campus in JP Nagar 7th Phase, South Bangalore. It has rapidly become an institution of academic excellence in the last decade. The school follows the CBSE curriculum and has been awarded an A Grade by the CBSE Board. It has classes from Nursery to Standard 12. All the graduating batches of Standard 10 & 12 have achieved 100%, first class results in the board exams. The school has excellent academic, sports and co-curricular facilities which the students have utilized to the fullest, winning laurels for themselves and their Alma Mater. Teachers are experienced in their subjects and sensitive to the needs of children. Spread over 4 acres, The Brigade School @ Mahadevapura is located in Mahadevapura, off Whitefield Road, East Bangalore and has excellent facilities. 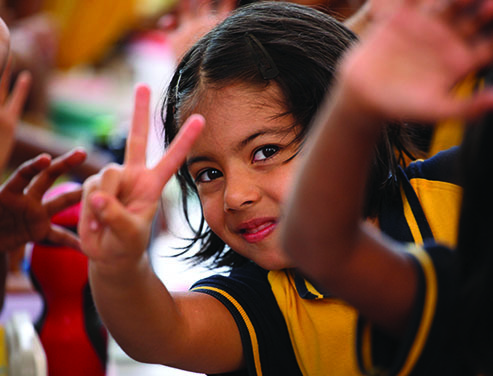 The school has classes from Nursery to Standard 10 and follows the ICSE curriculum. The Jumpstart program for pre-primary gives the children the thrust for excellent performance in both academic and co-curricular activities that continues all the way to Standard 10. A combination of the Montessori and traditional methods of teaching keep the children engaged and they learn happily and effectively. Brigade Foundation is a Not-for-Profit Trust established by the Brigade Group. The Foundation is interested in education, health and community development. The present focus is on education at the school level. The Jump Start system has been created by our in-house curriculum development team and is the basis of pre-primary education in all our schools. Jump Start curriculum is a perfect blend of the traditional and the Montessori method of teaching. Jump Start introduces pre-primary children to different subjects and ideas in comfortable, age-appropriate steps-so that learning is interesting. Our schools provide the holistic, inspiring and empowering education you want your child to have. We invite you to explore our website www.BrigadeSchools.org to select the school with the location that best suits your needs.